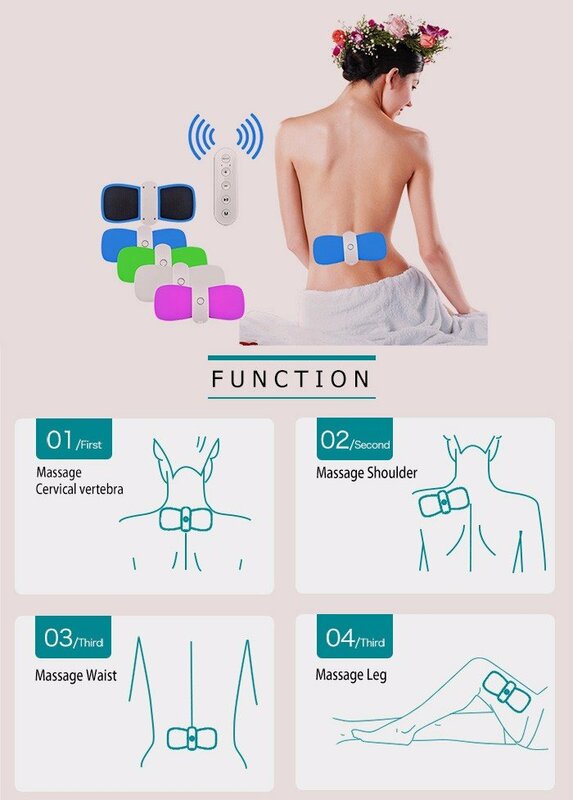 WIRELESS Smart TENS Machine Massager that is designed without the cumbersome battery packs and wired electrodes typical of tradiitonal TENS devices. Millions of people worldwide suffer from chronic back pain. One of the most important treatment methods is the TENS (Transcutaneous Electrical Nerve Stimulation) electrotherapy, which uses small electrical nerve-stimulating pulses to provide non-invasive drug-free pain relief. Up for sale is a TENS unit that is designed without the cumbersome battery packs and wired electrodes typical of traditional devices of this kind. The innovative WIRELESS unit integrates all necessary elements in a compact and aesthetically appealing housing. 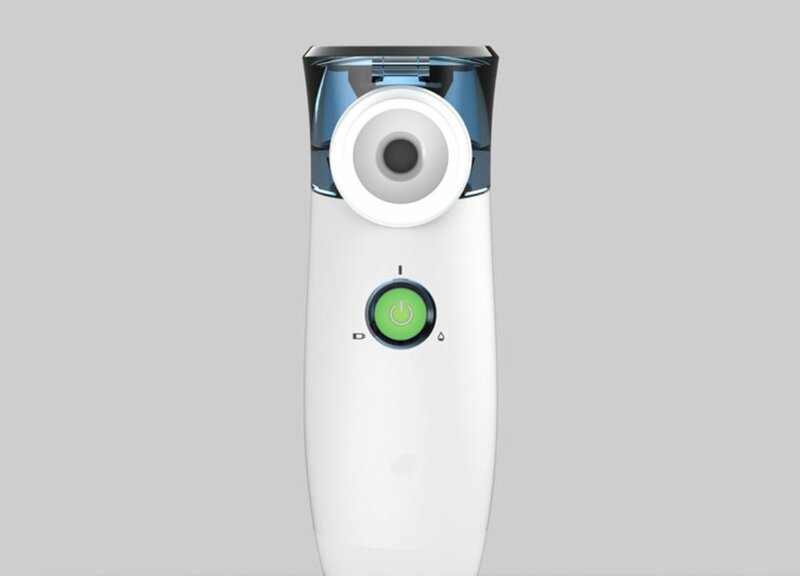 It is intuitively operated, via 360 degree remote control, it is pleasant to the touch and highly flexible in use. A complex dual overmoulded body assembly ensures that the highly flexible electrode wings comfortably hug the body’s contours. 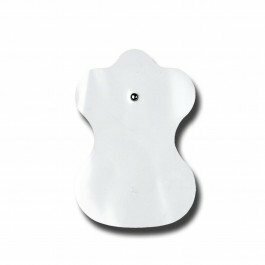 Thus, the device is easy to transport and can be worn discreetly underneath the clothes for long periods. A combination of low-energy wireless chips and an intelligent software design allows for cost-efficient use even over a long period of time. It provides new treatment qualities for individual pain relief and a high degree of mobility. The unit is energy efficient enough to run over 150 treatments on a single set of batteries. 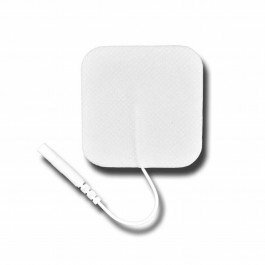 Higher intensity output than typical portable TENS devices available today and 2.5 times larger treatment area coverage. I've had a bad shoulder and after a week's use of this machine my shoulder improved a hell of a lot. Like that it's compact and discreet. Simple and easy to use with remote control. Lots of different cycle choices. The centre is more solid than I had imagined and so cannot wrap it around places such as the knee, yet this isn't a big problem as it can be used on one side of the knee at a time. I have found this has helped ease my pain in my knees as well as my back considerably. A lot easier to use than one with all the wires as I've had in the past. I have had every different kind but this is the best and value for money will get another one for back soon and will share with all friends how good they are its brought a huge difference to my back. Do you find it inconvenient to visit a massage parlour every time you want a fulfilling massage? With the Wireless Smart TENS Machine Massager, you can experience a soothing massage while on the go. 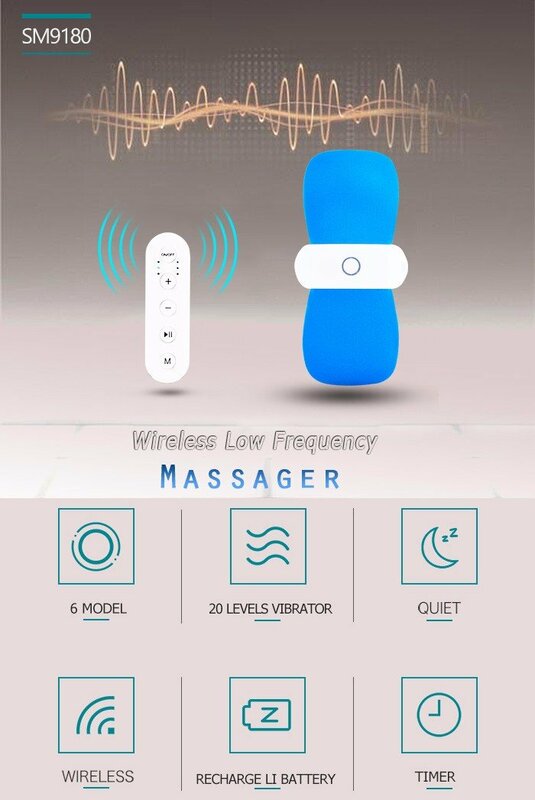 You can massage the back part of your neck, shoulder, waist, and legs without having to keep your massager plugged on the wall as this is made of wireless functions, complete with a remote control. 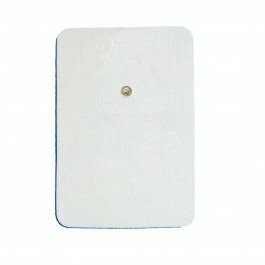 It is made with a dual flexible electrode pad that can be worn discreetly inside your shirt or pants. Expect long-lasting and durable battery, perfect for travelling. This handy massager is easy to use. It has 20 levels of vibration in 6 models. It is quiet to use and is equipped with a timer for a more customised duration of a massage. 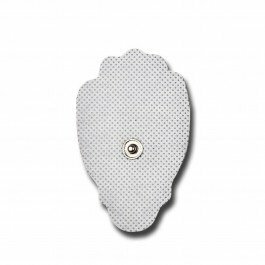 By simply placing the dual pads on the area you want to massage, and choosing the mode and frequency, you can enjoy the full benefit of a convenient wireless massager. It can cover a wide area of your body, just place it anywhere you want to massage and enjoy the pleasure of such a great device! Excellent Quality with Great Features.